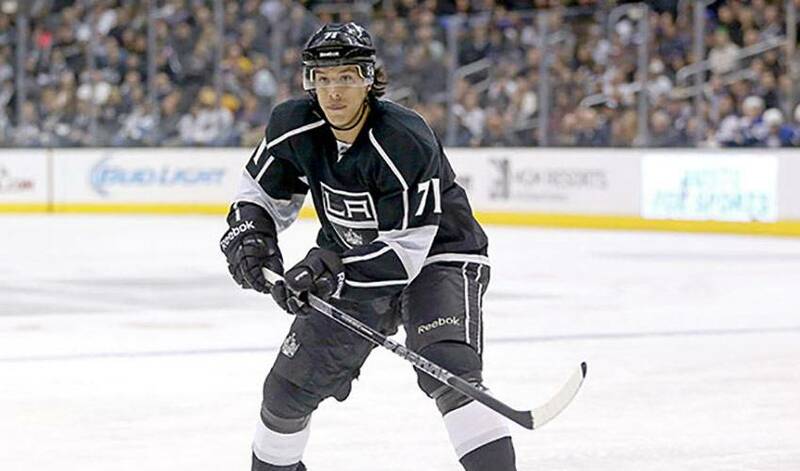 Five years ago, without having skated in a single NHL game, Jordan Nolan received a little fatherly advice that would play a big part in helping him realize his dream. It was sometime prior to the start of the 2008-09 Ontario Hockey League (OHL) season when Jordan, about to begin his first campaign as a member of the Sault Ste. Marie Greyhounds, sat down with his father, Ted, a respected hockey coach, who skated in 78 NHL games and is now the bench boss for the Buffalo Sabres. On October 5, 2010, Nolan signed a three-year, entry-level contract with the Kings. He would spend the next two seasons with Manchester of the American Hockey League, where he recorded 14 goals and 39 points in 115 games. Throughout that time, he often recalled the conversation he had with his father, using it as a reminder of his ultimate goal. It was on February 11, 2012, when Nolan was recalled to join Los Angeles. He played his first NHL game that day, against the New York Islanders. He scored his first NHL goal the next day in a win over the Dallas Stars. The rugged centreman appeared in 26 games in 2011-12. Last season, he appeared in 44 games, delivering six points, plenty of hits and no shortage of toughness. On the day of this interview, Nolan is standing outside a Los Angeles restaurant, waiting for a few teammates to arrive after a 3-2 shootout win over Western Conference rival, Colorado. For his part, Nolan skated nine minutes, had one shot and one hit. Tough is an appropriate way to describe the 6’3”, 220-pound centreman. But it’s not all Nolan is after. Which is why the answer is obvious when Nolan, who won the Stanley Cup with the Kings in 2012 (he appeared in 20 games), talks about his main priority.